Hotel el Castillo del Arenal overlooks the beautiful little village of El Castillo, and look on to the majestic Arenal Volcano. Its amazing location allows guests to enjoy views of both the volcano and lake. Hotel Castillo del Arenal is a family owned business located in a beautiful, quiet and unique area in Arenal. All our rooms have stunning views of the Arenal Volcano and Lake Arenal. Our Hotel is only 6.5Km from the National Park and 700 mts from the Arenal Lake, and 25 min from the town of La Fortuna. 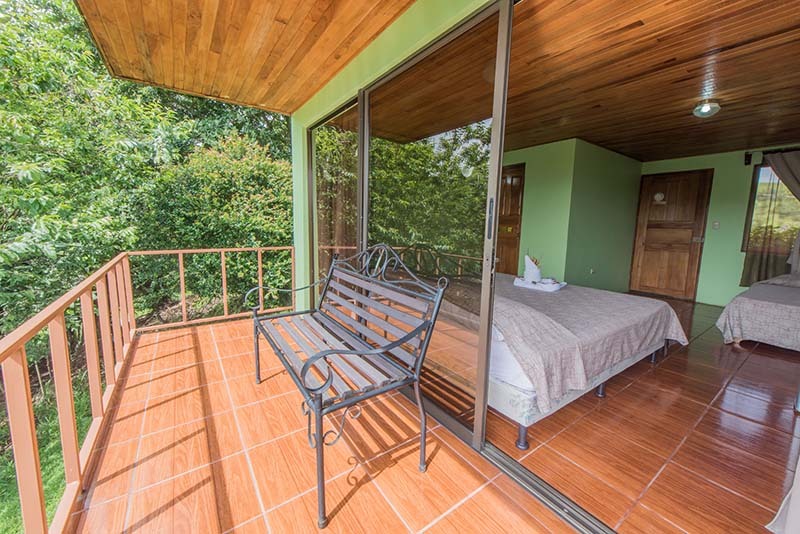 We are very accessible for all types of vehicle With more and more travelers choosing to skip the crowded resorts of La Fortuna, the town of El Castillo near the Arenal Volcano is now becoming the place where you can find the most unique and peaceful hotels in the area. Overlooking the Arenal Volcano and Lake Arenal, with just a 25 minute drive from the town of La Fortuna. We like to limit the Resort to only 40 guests for a more private and peaceful feel. Hotel Castillo del Arenal is perfectly located for those wanting to explore the breathtaking Arenal Area. Castillo del Arenal 6 kilometros suroeste del Parque Nacional Volvan Arenal, 400 metros al sur de la escuelaEl Castillo, La Fortuna, Alajuela, Costa Rica.